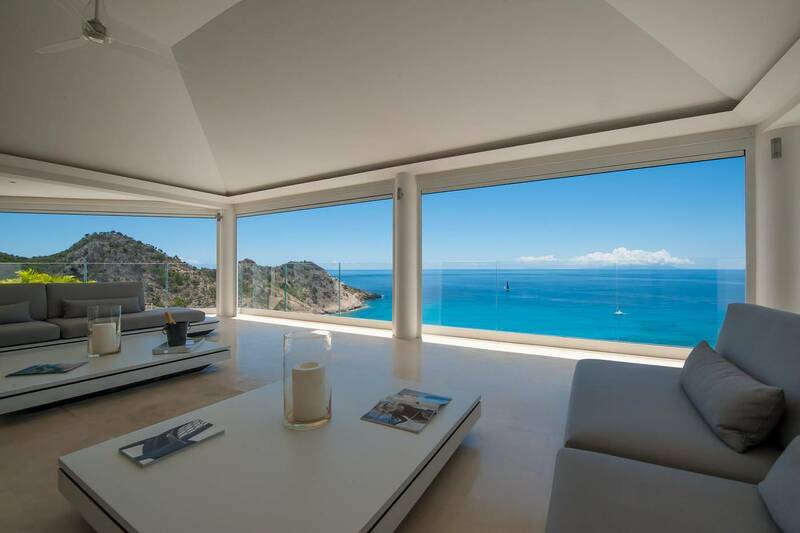 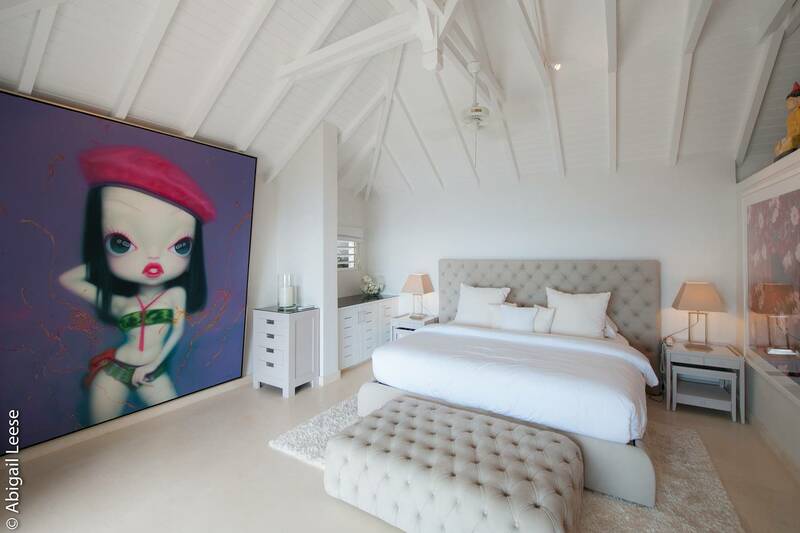 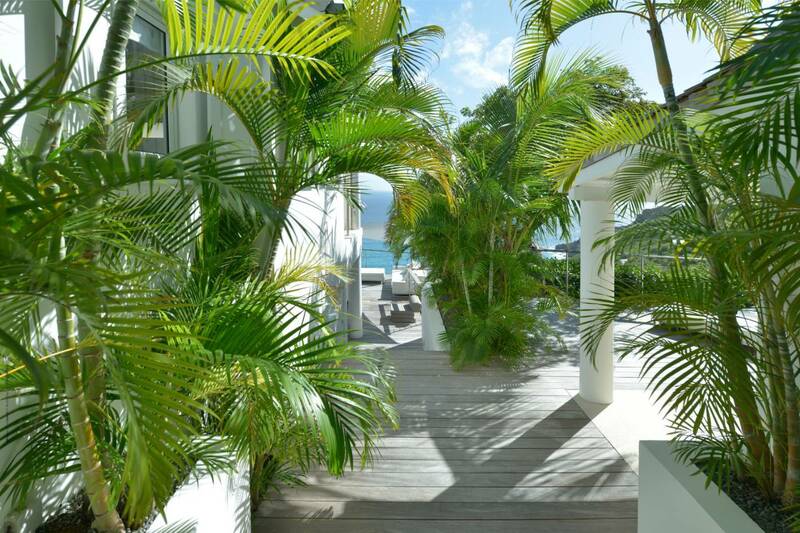 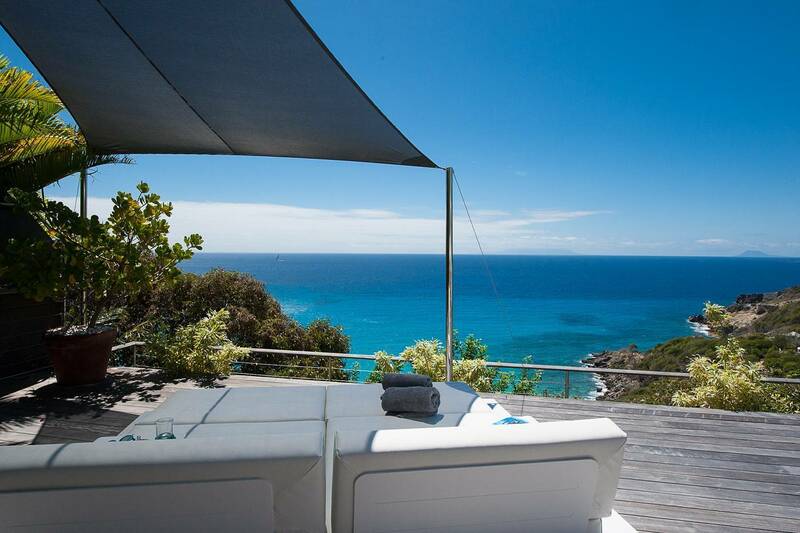 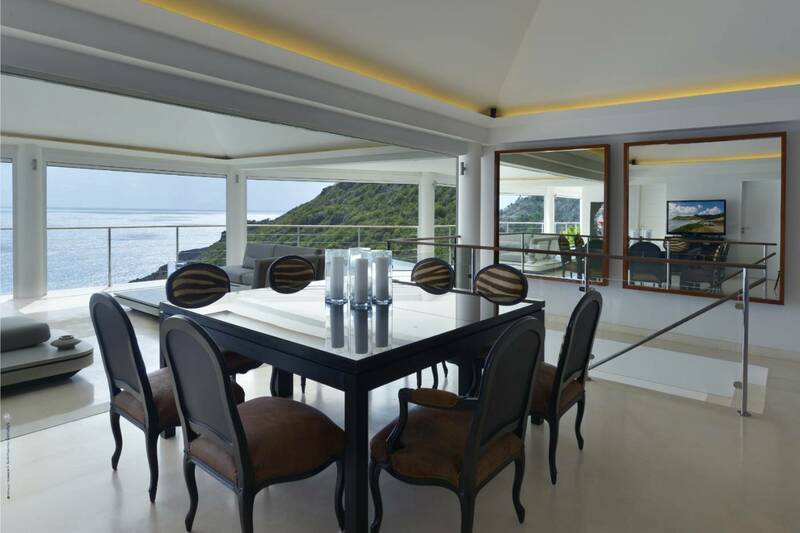 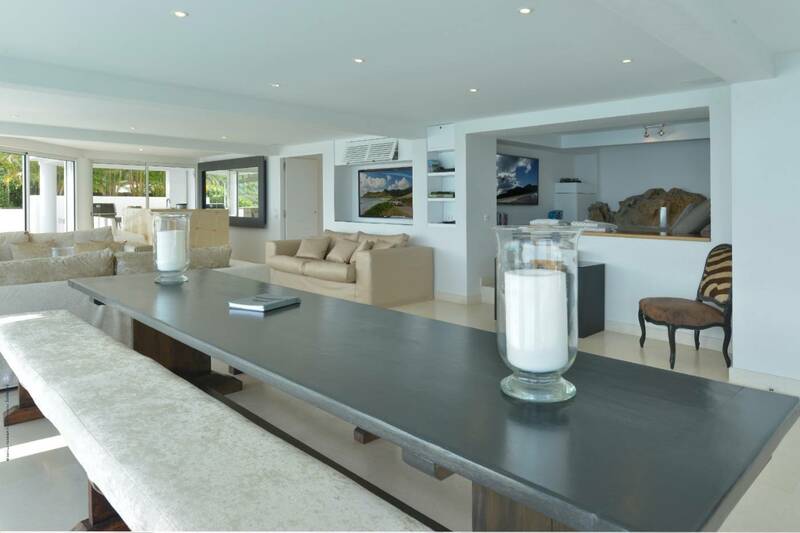 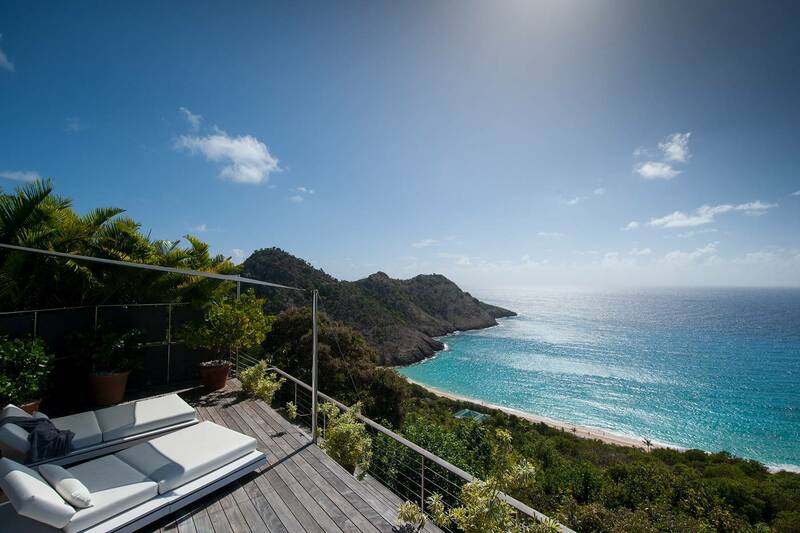 Dream About: Living the St. Barth villa lifestyle in a magazine-worthy vacation home overlooking Gouverneur Beach. 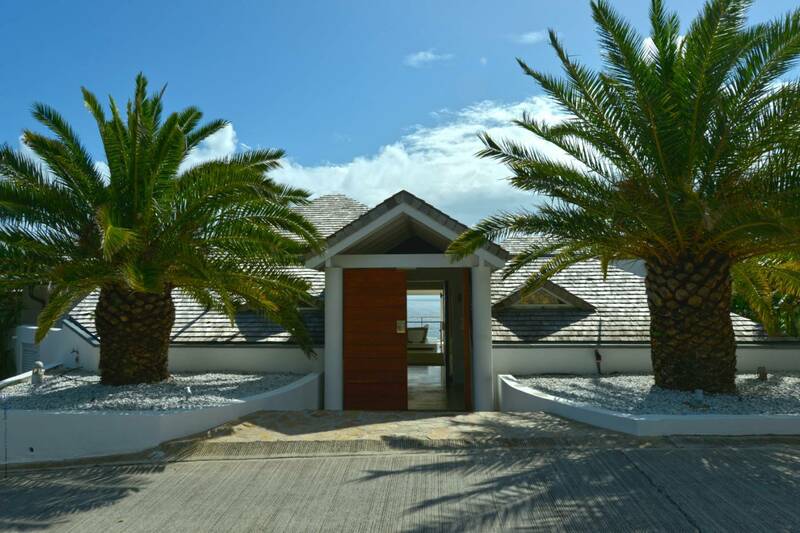 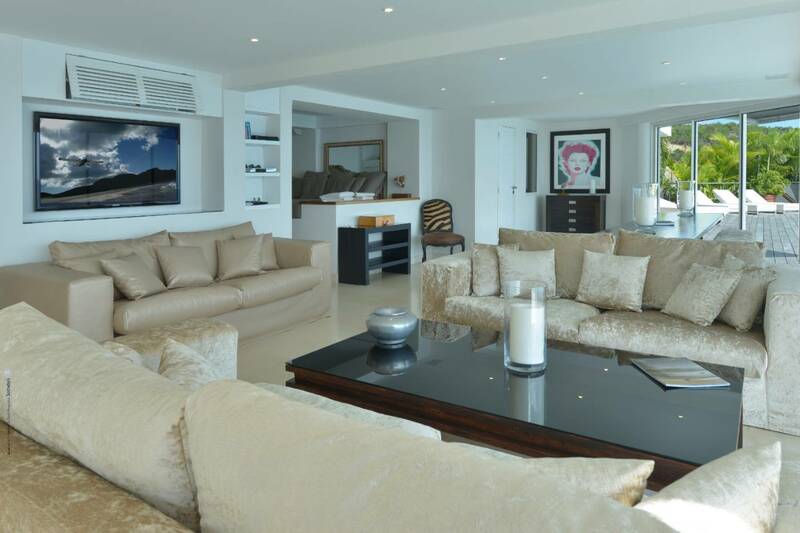 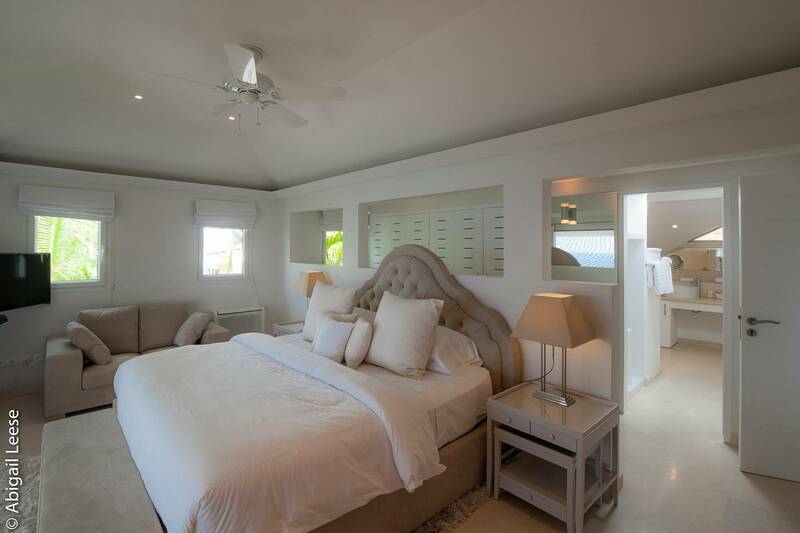 This striking 3 bedroom villa overlooking Gouverneur Beach offers spacious, stylish comfort, a spectacular kitchen and a gorgeous infinity pool. 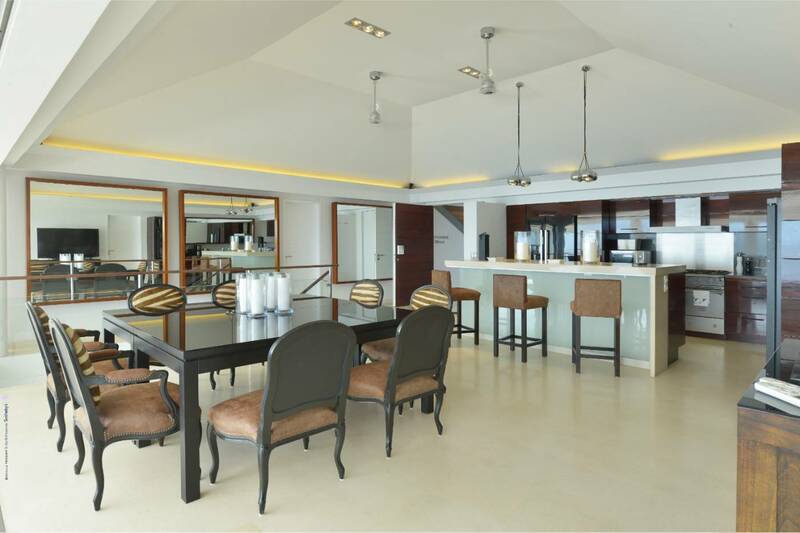 The designer kitchen with dining area is the center of an open floor plan that is furnished with chic modern décor and is set-off by an eye-popping vista. 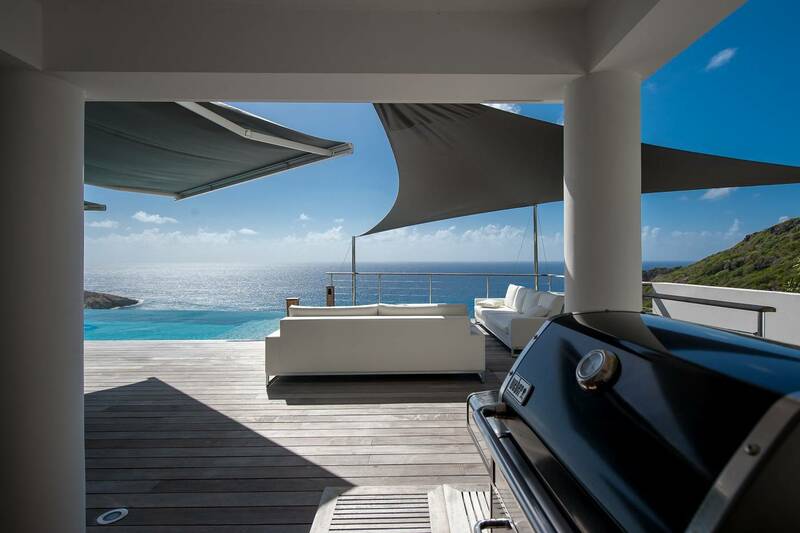 The adjacent outdoor living space is ideal for relaxing or entertaining. 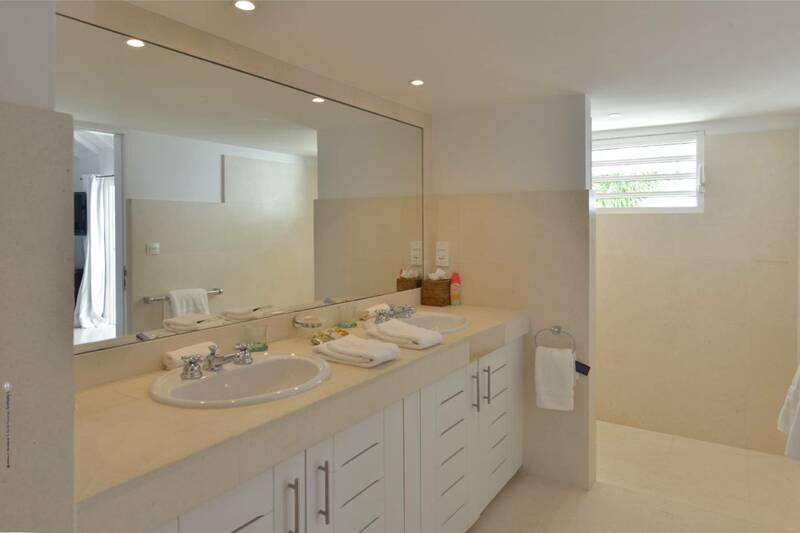 En suite bedrooms are located on either side of this area. 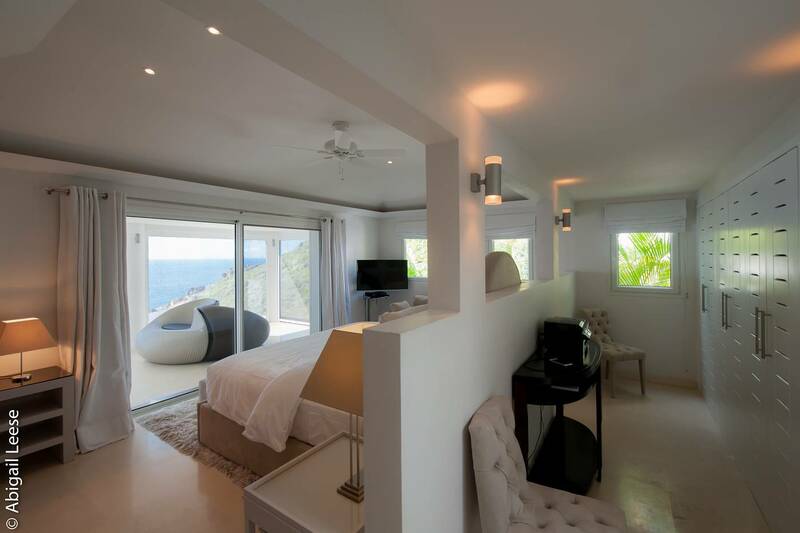 They have king beds and a view of the sea. 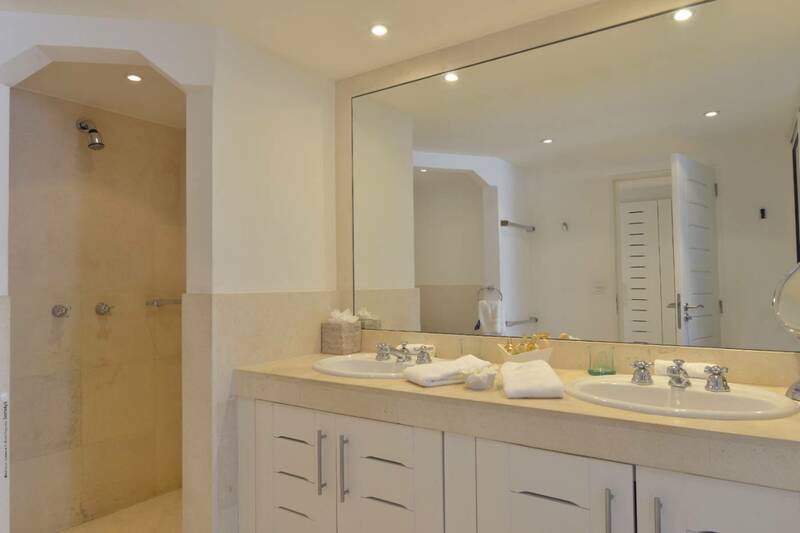 The bathrooms are beautifully appointed with double vanities and special features and touches. 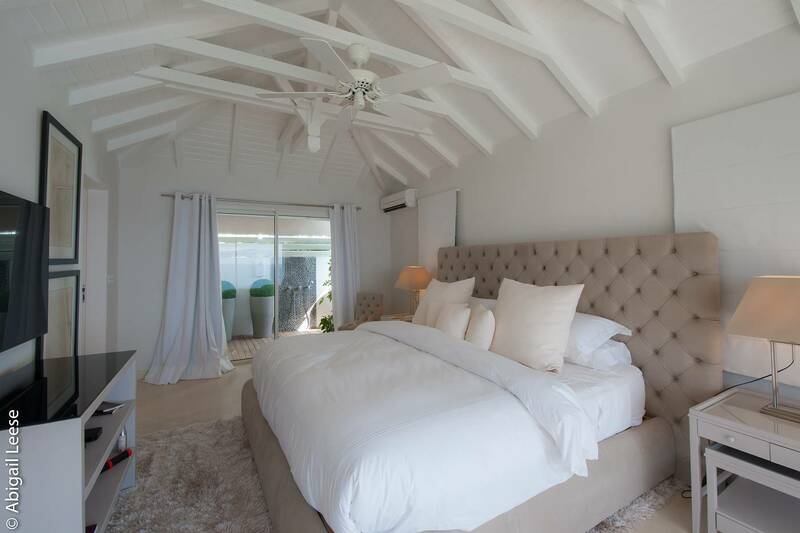 The third en suite bedroom, also with a king bed, is tucked privately away and has its own deck shaded by a bay rum tree. 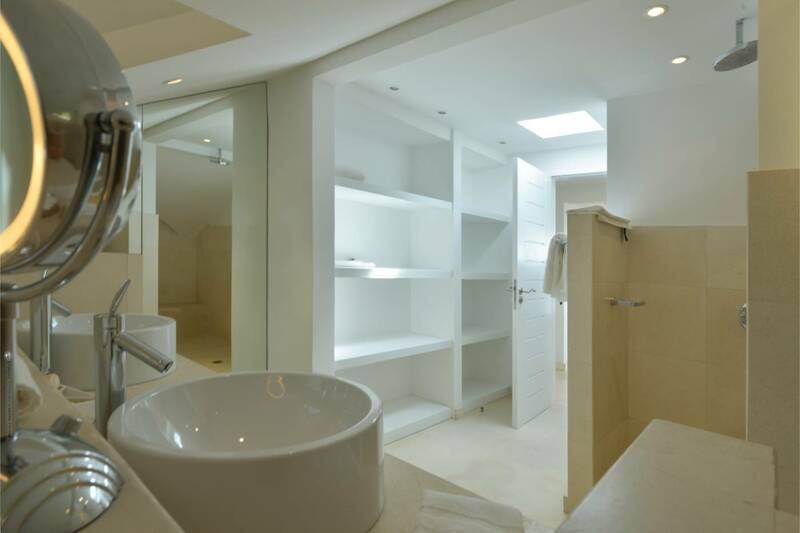 This bedroom suite can be accessed directly from the parking area. 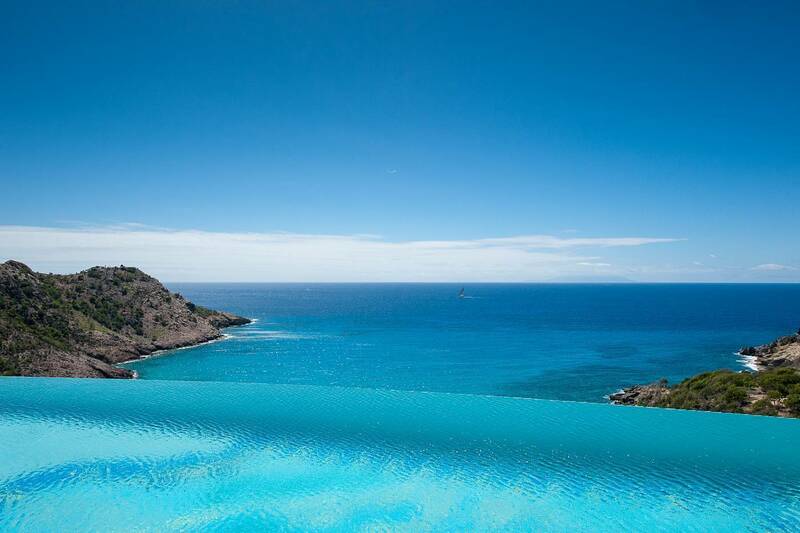 The oversized infinity pool is the focal point of the villa’s lower level and seems to merge beautifully with the sea. 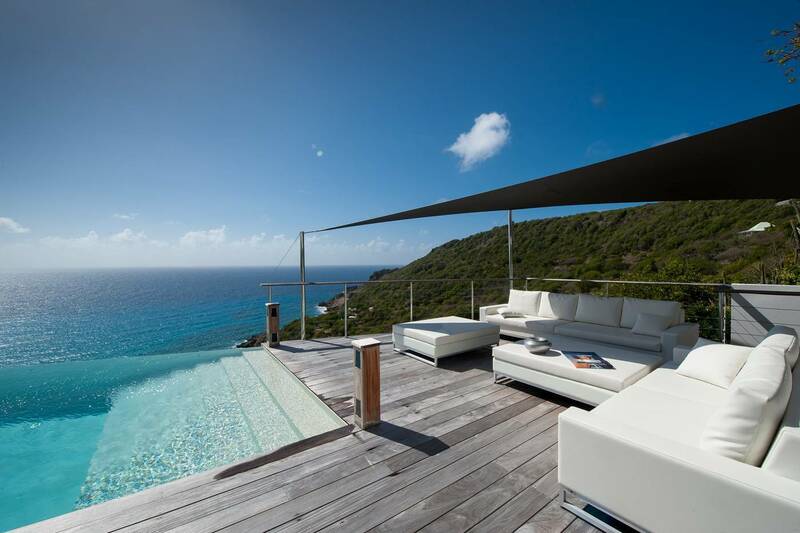 The expansive pool deck offers ample seating and lounging including a long, built-in banquette. 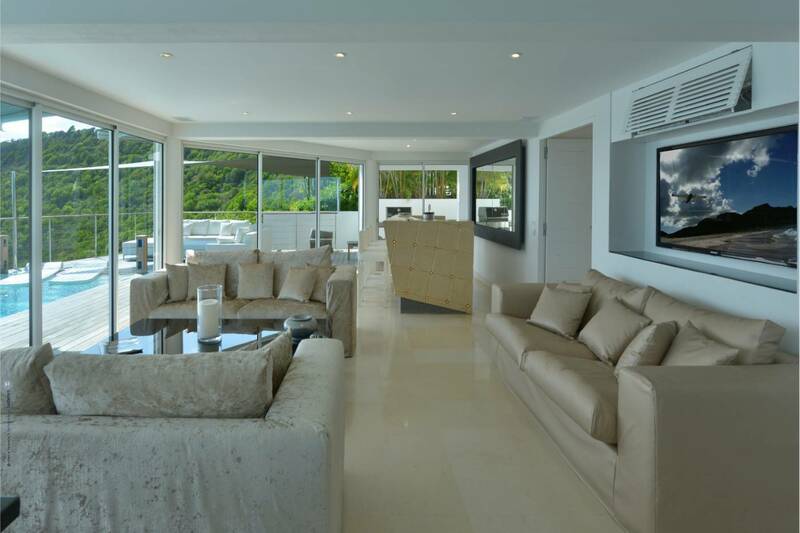 There is a 2nd living room (air-conditioned) on this level designed for entertaining with a dining area, BBQ grill, a well-equipped wet bar and a large screen TV. 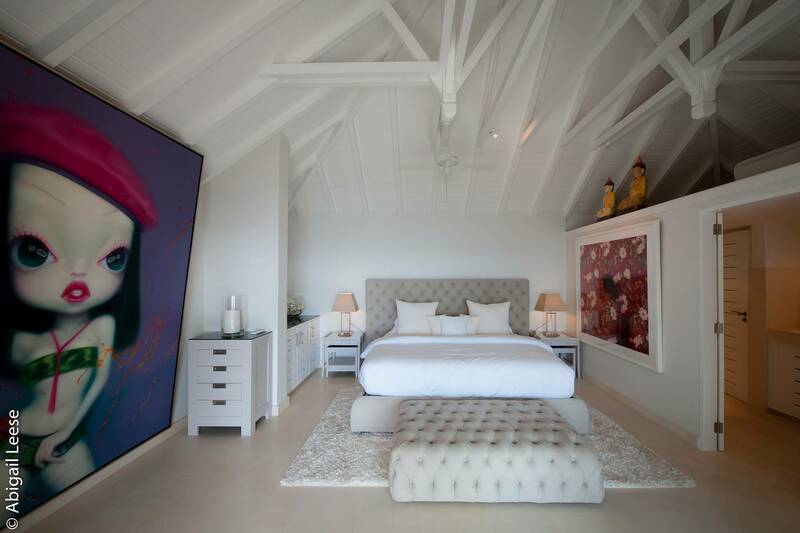 This level also includes an artfully designed alcove with a full bath and a double-sized day bed set-up for toes-up TV viewing. 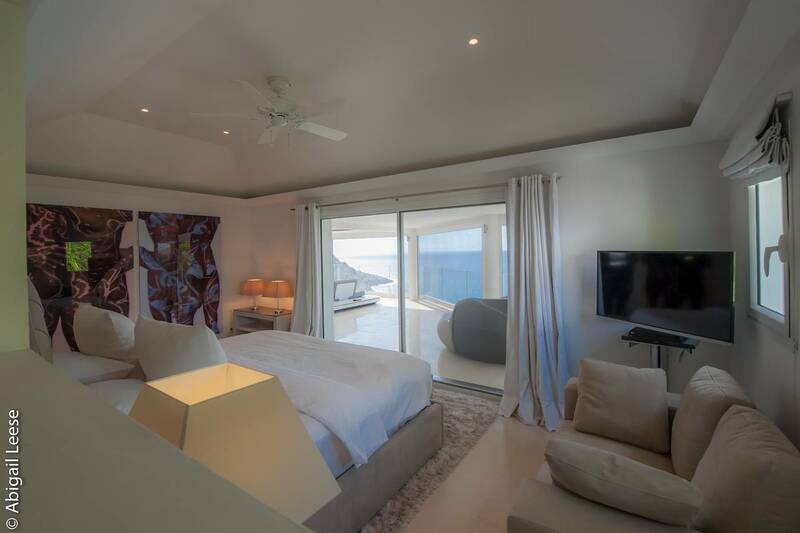 (TVs throughout the villa, including in the bedrooms, have individual Direct TV service and DVD players.) 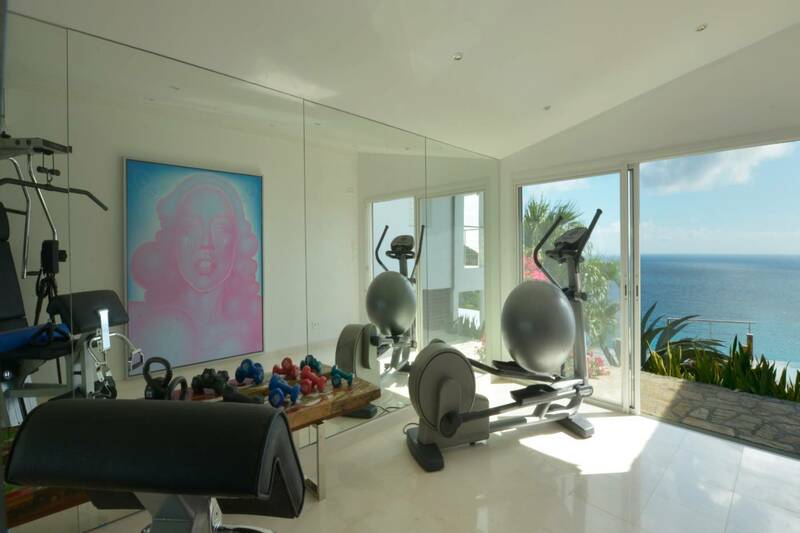 A look-out nook is situated just half a level down, treating guests to a quiet spot to take in the view of the beach; an air-conditioned state of the art mini-gym is well located to leverage the view. 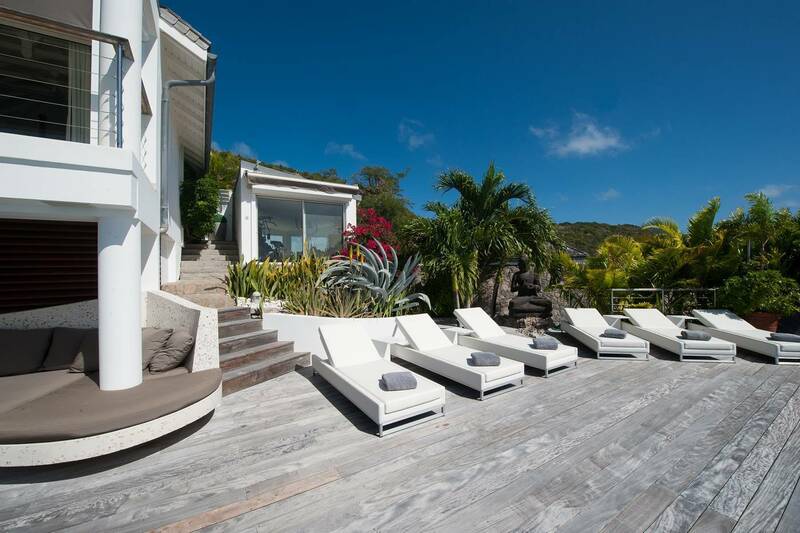 Just a short drive to one of the island’s most beautiful beaches, Villa Mirage is also close to Gustavia with all its shops and boutiques. 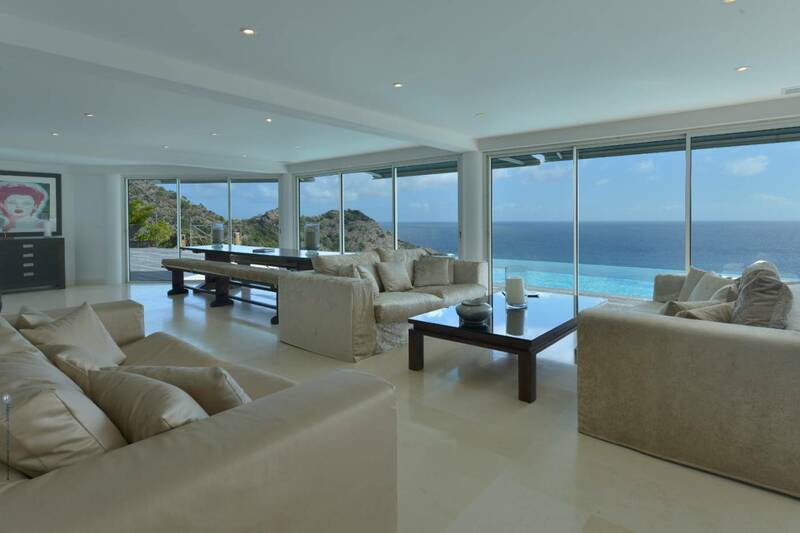 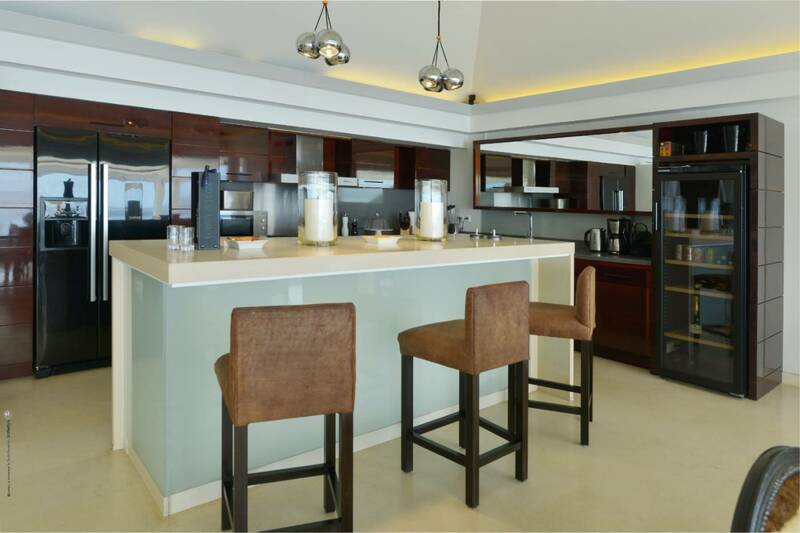 If 4 bedrooms are needed, villa Mirage can be rented with Villa Boudoir. 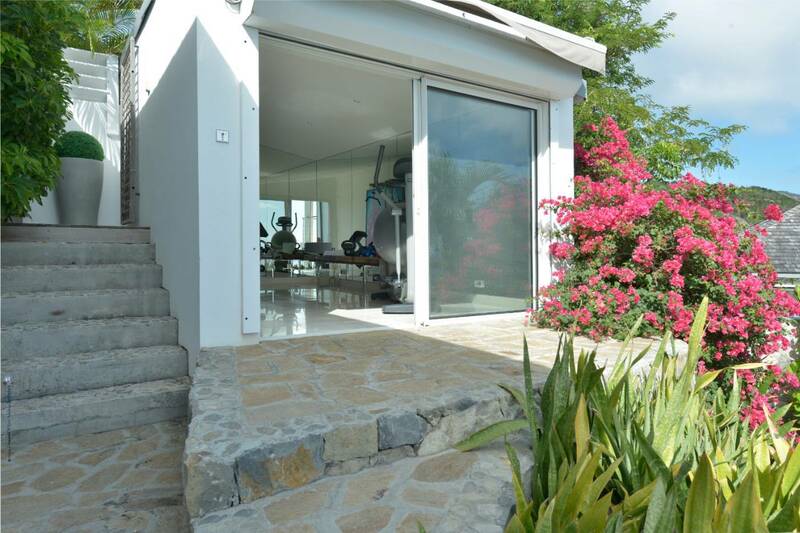 If 6 bedrooms are needed, Villa Reflet de la Mer can also be rented. 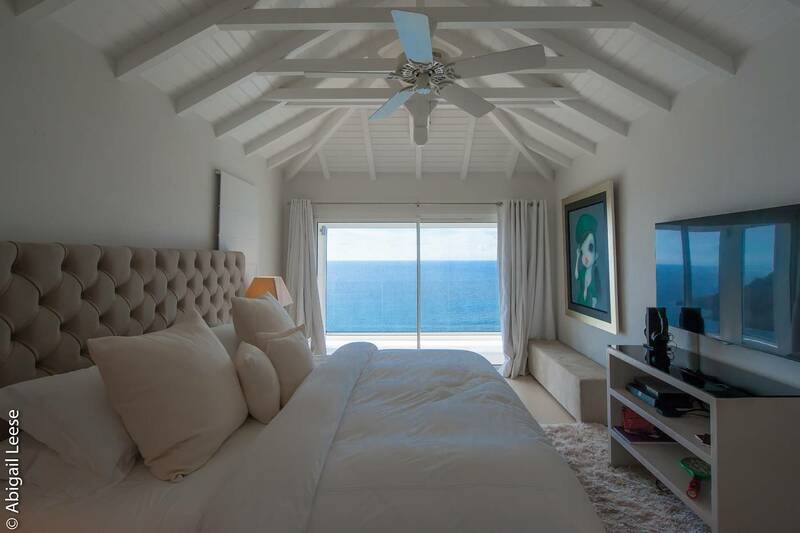 Every 7 day full price rental includes daily housekeeping including laundry service, breakfast with a list of items from which to choose, turndown on demand, and 2 bottles of red, white and rose each, 1 bottle of Champagne , all soft drinks and water, Nespresso . 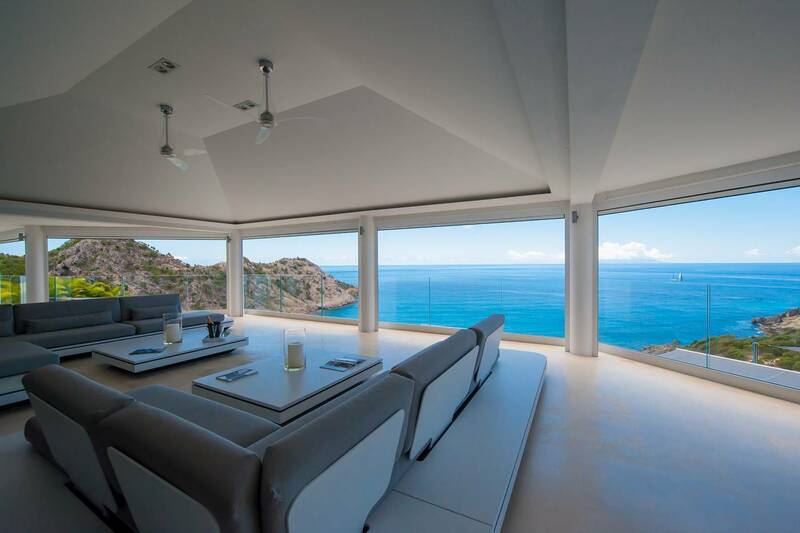 The lookout nook for a private view of the beach. 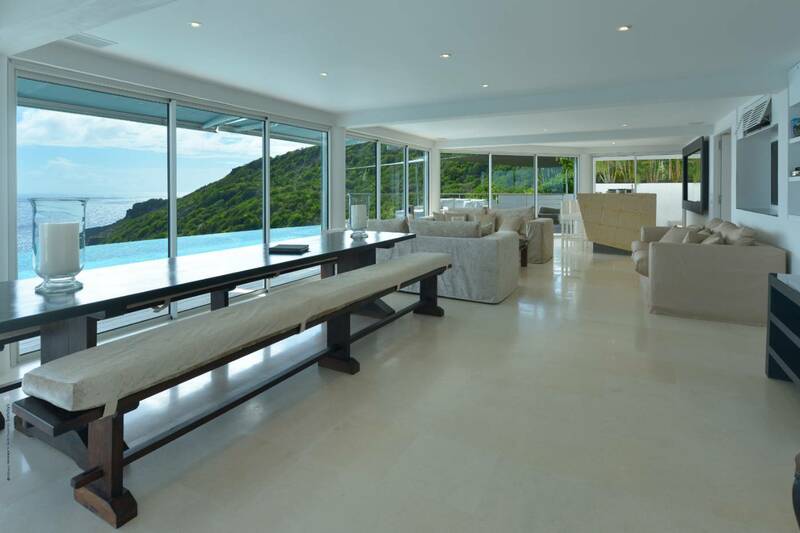 An oversized infinity pool seems to merge with the sea; 3 en suite bedrooms; designer kitchen, loads of space.